Many of you have raved over the beautiful Porterness Studio buttons and shawl pins we carry at Gather! These lovely jewels are the brainchild of Jennifer Porter, photographer, artist, designer - and knitter! Jennifer designs a wide range of jewelry and accessories for knitters and we’re obsessed with her Yarn Spirit Jewelry - necklaces and bracelets inspired by knit motifs, dripping with stitch markers in a variety of precious and semi-precious metals. 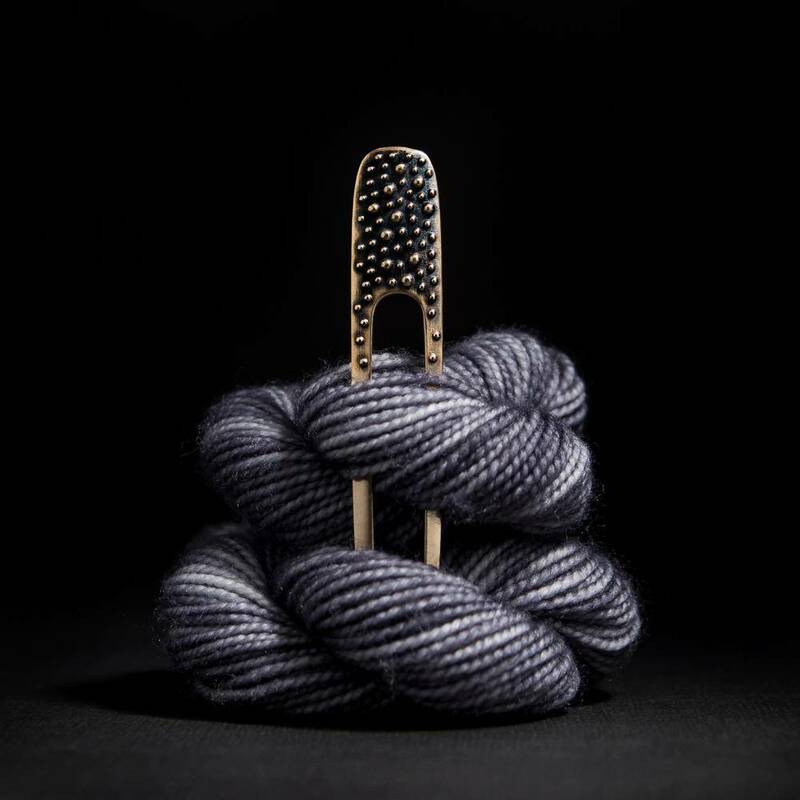 We feature Porterness Studio’s shawl pins and buttons at the shop (or as Jennifer calls it, jewelry for yarn) - all made using a 5,000 year old lost wax cast process. Nothing turns a special project into fine art like the right accessories. Jennifer often joins us for Sunday Social - drop in to see the artist at work and hang out with our great community of fiber enthusiasts!